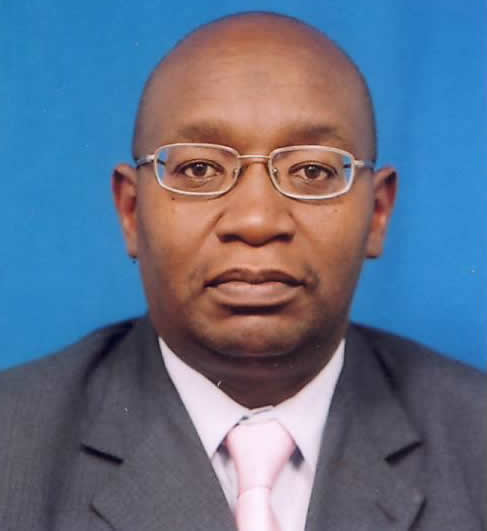 Prof. (Dr.) M. Mwinyihija, PhD, DSc, D.Phil., D.Mngt., Hon. D.LI., FSB, FCIWEM., FCMI, FHEA, HSC, CMgr., CSci., CEnv., CBiol., C.WEM. 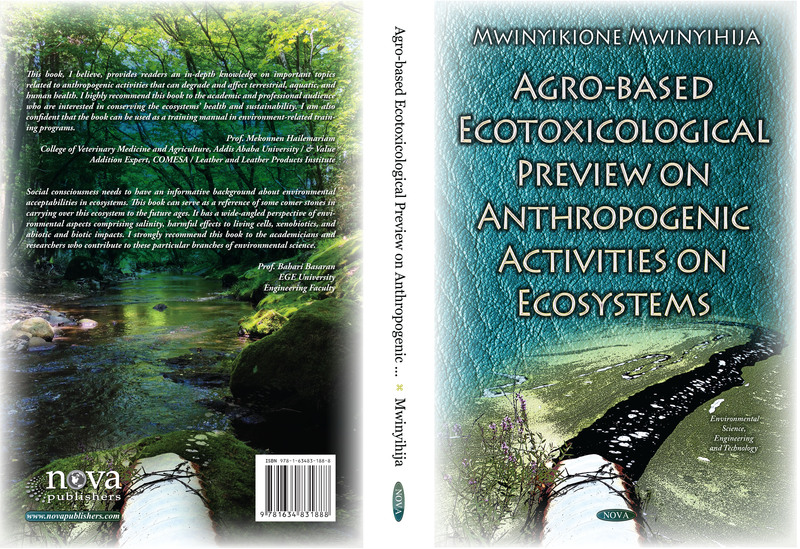 Prof. Dr. Mwinyikione Mwinyihija received his PhD in Environmental Science (Ecotoxicology and remediation of tanning industry effluents) at the University of Aberdeen, Scotland, UK. Later undertook a Post-Doc leading to DSc (Waste management of leather processing) at the Atlantic University, USA. To enrich his leadership and managerial skills he pursued a doctorate in management which lead to D.Mngt. From SMC-University, Switzerland with a dissertation ‘Conceptualization of opportunity management towards value addition strategy for the leather sector in Kenya’. He has also been awarded D.Phil. award in Management from UCN-Nicaragua. Currently, he is pursuing advanced research activities in understanding what bottleneck bedevil the African quest to avail specialized skilled manpower for the leather sector’s value chain stratums. He has in the past being an adjunct lecturer at Jomo Kenyatta University, Kenya & moderator of exams in Nairobi University and doctoral examiner at the University of Madras and Anna University, India. Currently, he is also Professor of Management at Euclid University and Faculty at University of the People, USA. He continues to be actively engaged as a mentor, supervisor and examiner of various masters and doctoral programmes at various national, regional and global institutions of higher learning. In addition, to the ascribed qualification he holds Chartered Fellowship with professional institutions of high esteem, e.g. Council of Science, Institute of Biology (UK), Chartered Institute of Water and Environment, Society of the environmental, Association for the Advancement of Biodiversity Science and Chartered Management Institute, Institute of Management and Higher education academy . He has published several papers, books and is a reviewer in various prestigious peer-reviewed journals. Has travelled widely and attends several international fora such as the International Council of Tanners, British Society of Soil Science, Institute of Biology, United Nations forum on climate change, Institute of environmental audit and management and specialized for a globally on invitation etc. He maintains a strong research passion in areas of value creation, opportunity management and environmental management, higher education agenda directed towards the value addition chains of the leather subsector in the realms of focused socio-economic development at the Global stage. He is presently the Executive Director of Africa Leather and Leather Products Institute a regional organization mandated and chartered to spearhead the development of the leather sector in Africa, Convenor of the IULTCS 2021 and The Vice President of The International Council of Tanners. Previously, served as the Chief Executive and founder of the Leather development Council, Kenya with a similar mandate but at the national level. His continued professional engagements have resulted in providing leadership also to the development of the leather sector at other national, regional and global platform. For example, served as a panellist and technical project team leader (Ostrich and Crocodile skins standards development) and member of-of ISO Committee 120 of the International standards organization, Scientific Conference committee member of IULTCS World leather congress and Ege University, Izmir Turkey. He is recently appointed as the World Certification Institute Ambassador-with particular focus to enhance Skills and Curriculum recognition in Africa. Moreover, Prof Mwinyihija has continued playing an active role in the dissemination of science in various specialised and general public platforms to ensure sustainable development and change management in Africa and the world at large for the leather sector globally. Continuous involvement at various leather sector fora and activities worldwide, resulted in Prof. Mwinyihija’s award of an honorary doctorate from The Sudan University of Science and Technology in 2017. Welcome to the last Quarter Newsletter of 2018! With 2018 now behind us, I am pleased to share with you some of the milestones already accomplished during the ending year whilst highlighting of some of the major activities of the Fourth Quarter. I’m delighted to announce that African continent started the year with a blessing with my appointment as the Vice President of the International Council of Tanners (ICT) in a colorful ceremony which took place during its annual general meeting held in Hong Kong on 13th March 2018. As the Executive Director of Africa Leather and Leather Products Institute I will serve at the helm of the world’s second most coveted position in the leather sector for a term of two years. I’m also grateful to mention that as an International renown scientist in the leather sector arena, and an outstanding contribution to the development of leather sector in the African continent and region in particular, the Senate of Sudan University of Science and Technology (SUST) awarded me an Honorary Doctorate in recognition of my continued role to develop the leather sector in the continent. On leather sector platform, ALLPI hosted (separately) high-powered delegations from Sudanese Government and East African Community (EAC) who were on leather sector fact finding in Ethiopia. During the period under review, ALLPI was graced with the visit of Her Excellency (H.E) CHILESHE KAPWEPWE the incoming Secretary General of COMESA. H.E was accompanied by Mr. Simal Amore, Chief Strategic Planning and Research, COMESA Secretariat and the Head of COMESA Liaison to the Africa Union (AU) Amb. Salvator Matata. While addressing ALLPI’S Senior Staff, Her Excellency hailed the entire ALLPI community for the excellent performance the Institute had shown. She took note of the recognition of the Institute’s success registered in the Continent during the implementation of the agenda on development of the leather Sector. On ALLPI’s performance, the Institute registered the following accomplishments which encompassed: technical assistance given to our Member States (MS) by sending ALLPI Team of Experts to each country to strengthen leather development activities in the following areas; training of more than 600 personnel from private and public sectors in leather technology and related domains: prepared and submitted number of the documents: proposals to Member State and International Organizations; reviewed Strategy and Policy to support to Member States (Sudan, Zambia and Zimbabwe); designed and completed the strategy of Mauritius, designed and completed the strategy of FLEMEA, Uganda;. ALLPI also successfully negotiated with BADEA officials to extend the expiry date to June 2019 of a total sum of US$ 400,000.00; publication and dissemination of ALLPI Quarterly Newsletters; facilitated Participation of 28 leather sector SMEs in Inter and Intra Trade Promotion both regionally and Internationally; signed 13 MOUs with various Universities and other Institutions which include: Institute for Creative Leather Technologies, University of Northampton (ICLT) UK, Sudan University of Science and Technology (SUST), University of Bahri-Sudan, University of North Kordofan, Sudan Technological University, West Kordofan State, Red Sea State, Investment and Industry Commission, North Kordofan State, Ministry of Human Development, Antiquities and Tourism - Khartoum State, Kyambogo University (KYU), Uganda, School of Engineering and Technology, Kenyatta University – Kenya, Small Industry Development Organization, (SIDO) of Tanzania – and Maverick Promotion PLC – Ethiopia. During the year under review, ALLPI Introduced whatsApp Group platform on SMEs which is an experience sharing, educative and informative platform. 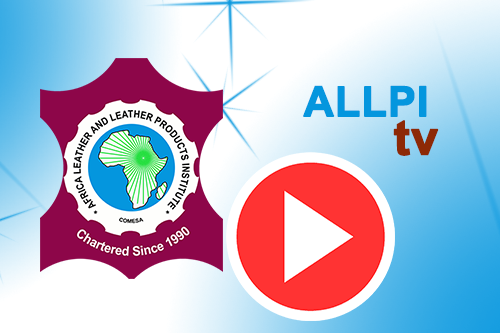 This will continue keeping us connected with respect to information in the region’s leather sector development and other activities in the sector within African Continent and world at large. 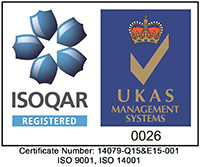 It was another milestone achievement for ALLPI after it was Audited and given a nod for the next three years for certified QMS ISO 9001:2015 and EMS 14001:2015 status. As a member of the IULTCS Executive Committee, I participated in its Committee’s Meeting held in Xian, China held on 16th -19th October 2018. During the Meeting, I highlighted the progress of the preparation of IULTCS Congress which will be held in Addis Ababa in 2017 and for the first time to be held in African Continent. ALLPI closed the year by holding the 12th annual Regional Leather Sector Consultative Forum at Coral Port Sudan hotel, Port Sudan from 11th to 13th December 2018. The opening of the forum was graced by the presence of H.E. Alhaj Muhamad Ali, the Governor of the Red Sea State, H.E. Mr. Ali Omer-Alsharif Alhindee, Minister Production and Economic Resources of the Red Sea State and H.E. Dr. Jaafar Ahmed Abdalla, Minister for Industry and Trade, Khartoum State. The forum was attended by 90 participants representing National, Regional and International Partners in the leather countries, (Eritrea, Ethiopia, Kenya, Malawi, Rwanda, Sudan, Swaziland, Tanzania, Uganda, Zambia and Zimbabwe,) and Partner Organizations representatives from India, Italy and Turkey. Some of the recommendations from the forum were: ALLPI to be inviting potential buyers of leather and leather products to participate in the forum, involve students from universities on graduation and other educational programs in the leather sector, assist enterprises to convert rejects to valuable products that will help to reduce losses along the value chain including raw hides and skins, establish database of SMEs with their profiles in order to have a database of enterprises for marketing purposes , develop Africa trade mark for e-commerce and export promotion. At the end of the Forum, the participants rated the overall organization of the Forum to be excellent (70%) while 100% indicated that, it achieved its objective with the most frequently cited topics as technology, collaborative and sharing of good practices. The theme and Objectives of the Forum was “Focusing on Innovation to transform Africa’s Leather Sector towards Productivity and competitiveness”. In the final (fourth) quarter, we continued to heighten our activities as you may witness from the contents of this Fourth Quarter Newsletter. We appreciate the support, feedback and information provided by those of you who participated in our activities, and kindly accept our appreciation for your collaboration with continued hard work and dedication. We value the insights you shared with us all through 2018. Happy New Year to all of you and we look forward to seeing further strengthened collaboration and support in 2019! In creating my leadership philosophy, I routinely explore in an all-inclusive manner my personal values, assumptions and belief to be transformative. Personally, five pinnacle values I indulge include Achievement (drive towards excellence), Change (aspired transformation towards positivity), Competency (acumens that are progressive and skills enhancing), Creativity (stimulate ideation and innovation) and Integrity (nurture trust, honesty, transparency and accountability in building confidence). I believe I am privileged and honored to provide leadership and that leading has huge responsibility to ensure equity, fairness and accountability to stakeholders. This epitomizes my leadership philosophy through cultivation of collaborative linkages and tangible teamwork. In so doing, the leadership style I adapt converges strengths and synergies in teams I work with into productive and sustained results. I also like to encourage participatory approaches where I interact and listen more to effectively motivate, inspire, provide thoughtful vision and strategic direction. Constantly, I carry out team and self-appraisal to remain steadfast least I stray, loose purpose or miss agreed set targets. Purpose: To provide Excellence towards learning by being interactive, responsive and adapt communication style that is both effective and progressive. Principle:Always striving for academic pursuance and professional development that entail commitment, dedication and results oriented outcomes. Being informative and knowledge seeking is fundamental to pursue wisdom. This encompasses nurturing interest and expectation tocreate ambience to epitomize thequest for knowledge. This value provides opportunities for academic growth, development and success. Pursuing excellence is in tandem with my endeavor to attain efficiency, effectiveness and tangible results. I trust motivation towards this value results in quality outcomes and the urge to constantly scale higher heights. This value draws on various other values but rewards the ideation process with optimal potential to innovation. Transformative orientation responds to converting challenges into opportunities, a pathway I pursue with passion. Striving for highest standards in both professional and academic perspectives, transparency and accountability is key. This promoteshonesty, trustworthy and confidence exuding elements worthy to inculcate for optimal ethical resonance. Dedicated to serving all without any conditionality, more of a listener, responsive and directly impact lives positively. The critical goals under this value is to work with all to assist in remediating through a participative approach in addressing poverty, ignorance, illiteracy, equity and development. I am privileged and honored to teach, share knowledge and facilitate learning. I focus in imparting knowledge with dedication through exuberance of effort that stimulate interest, yearning and motivation. I inculcate responsiveness and nurturing to build capacities, understanding challenges and forming strong communication linkages. For this to happen, I strive with comfort to translate teaching experience into an exciting pursuance. I believe this creates ambiance and an invigorating environment that enables learning, encourage participative engagements and results in a rewarding experience. At all times, I accommodate the perception that for a successful enabling environment to be sustained, reflection on mistakes as a preemption to opportunities is cardinal. This is because exploration on misconception rather than inabilities formulates interventional pathways to enlightment and knowledge. My life as a teacher portrays and exemplify a role model that demonstrate that each step in life is another newer horizon to seek knowledge. On this particular perspective, I ‘walk the talk’ as I spirit forward and continue to pursue knowledge with zeal. I combine a strong environmental and management science domain to encompass sustainable development. As such,I always take pride and happiness sharing, disseminating and informing on various fields of Management Science as an ever evolving subject that attempts to meet the developmental expectations of the global society is an sustainable manner. The scope of the study reported in this book entails understanding the constraints and providing potential diagnostics to Africa’s leather sector, which is otherwise globally, one of the most lucrative agro-based industries in the world, estimated at over US$ 130Billion. One of the principle core thematic aspects of the leather sector is, characteristically, its long value chain with multiple socio-economic dimensions. These entail employability, creation of wealth, gender parity and rural development. Thusly, in an effort to stimulate scholarly discussion, the study argues that preemptively, the problems facing the leather value chain stratums are high losses, low value addition initiatives and unexplored opportunities that are synonymous with the Africa’s leather industry. Indeed, the results of the research conceptualized opportunity management as a critical panacea towards value addition strategy for the leather sector in developing countries. In dealing with this concept, the book evaluated the various value chains phases and identified nine specific issues and variables drawn between value addition and the main leather strata. With this background, the study posed a main question and four sub questions to closely expound on related hypotheses and in lieu pursue four thematic aspects: trade, productivity, competitiveness, and innovation covered in twelve chapters of the book. 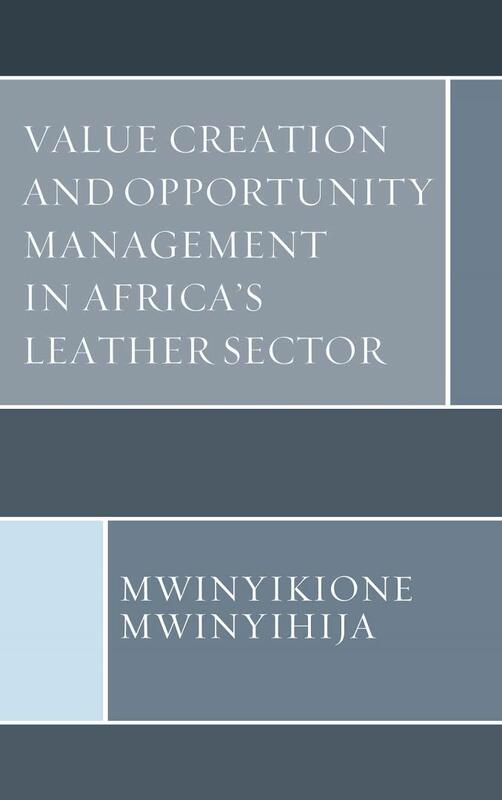 Conclusively, the book manages to successfully conceptualize as a novelty that opportunity management is integral towards developing a leather value addition strategy for the developing countries with particular emphasis to Africa. 2) 2013 - Lagoons: Habitat and Species, Human Impacts and Ecological Effects. 3) 2010 - Ecotoxicological Diagnosis in the Tanning Industry. Prof. Mwinyikione Mwinyihija, Executive Director of COMESA/LLPI, has been appointed as the Scientific Committee member for the 2017 IULTCS Conference. The mandate of the Scientific Committee is to affirm all the presentation that will be made during the Conference do meet the objectives. The Committee also provides scientific backing for the general Congress. The International Union of Leather Technologists and Chemists Societies has the task to encourage and develop the interchange of knowledge and experience between leather technologists and chemists worldwide by increasing the collaboration between member societies. The Indian affiliate to IULTCS - Indian Leather Technologists Association (ILTA) and CSIR-Central Leather Research Institute would jointly organize the XXXIV IULTCS Congress during 5-8 February 2017.